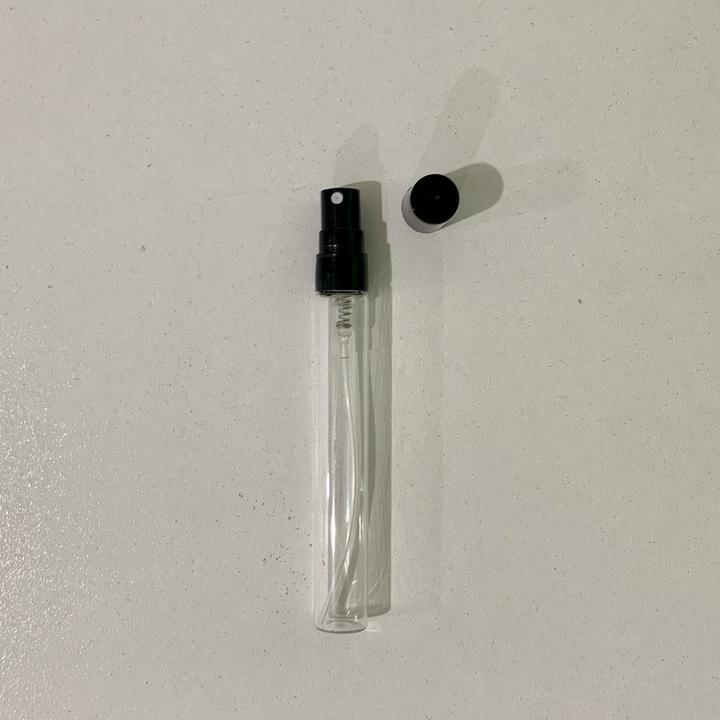 Stylish glass perfume spray bottle with a Black lid! 11.6cmH x 1.4cmD. This bottle holds 10mls.